JLR already has Halewood, a former Ford plant, just across the Mersey river from Ellesmere Port. A second round of job cuts shows PSA is struggling with the viability of its newly acquired Ellesmere Port factory in the UK. There is an obvious solution: sell it to Jaguar Land Rover. The reason? PSA has excess capacity and JLR the opposite. The factory near Liverpool predominantly makes the Vauxhall//Opel Sport Tourer station wagon, but weak sales and the high cost of producing them compared with cars from PSA's flagship Sochaux plant in France has prompted PSA to cut the workforce by a third. PSA might like to switch the entire production to the second Astra plant in Gliwice, Poland, and shut Ellesmere Port entirely but that decision would politically explosive. A factory closure of this magnitude would be blamed on Brexit and pile even more pressure on the already beleaguered ruling Conservative government. It would also stoke fury among the unions. Only this week, the head of Britain's largest union, Unite, threatened to kill the market for Vauxhall in the UK "for good" if PSA shut the plant. Selling it to JLR would please both the government and the unions. The Tata Motors-owned company posted record sales for 2017 and its three UK assembly plants are bursting at the seams with more new models on the way. 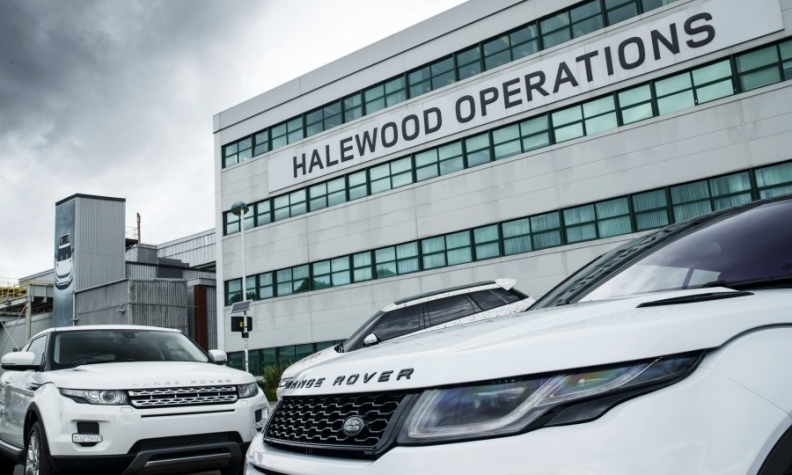 JLR already has a plant just across the Mersey river – Halewood, a former Ford factory that now builds the Range Rover Evoque and Land Rover Discovery Sport. JLR is currently about to start making the closely related Jaguar E-Pace SUV at contract manufacturer Magna Steyr's site in Graz, Austria, so relocating that car close to Halewood would make a lot of sense. The UK government would no doubt be prepared to make generous incentives to persuade JLR to take on the plant. This is speculation, it would solve a lot of problems. Not least those of the workers of Ellesmere as they endure the long wait to find out if PSA will award the factory another car to replace the Astra when it finishes in 2021.